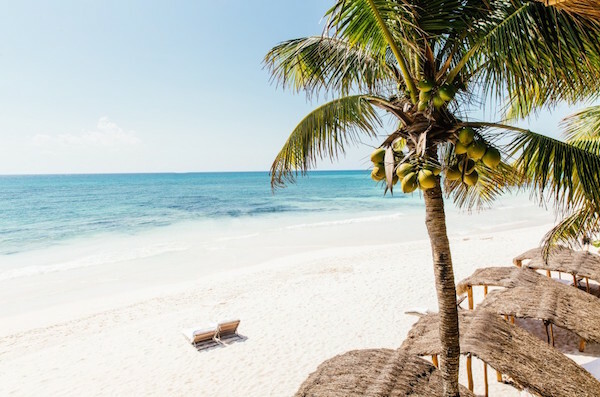 With a 10 hour direct flight from London, the Riviera Maya in Mexico is an excellent choice for the luxury traveller in search of exquisite white sandy beaches and exemplary service. 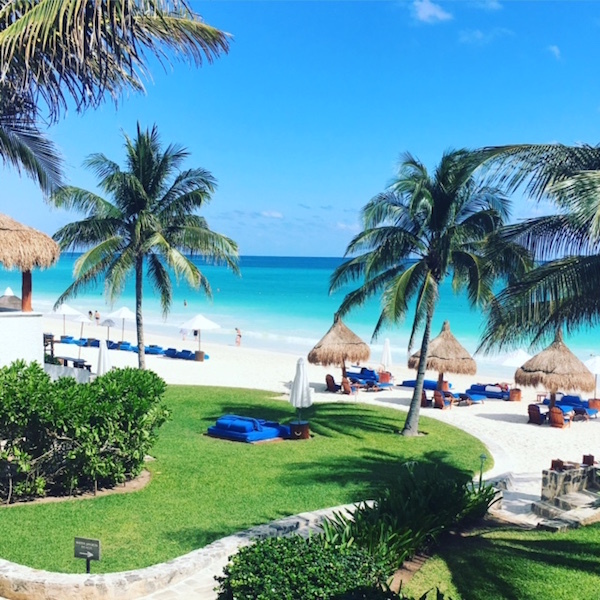 Cancun never really struck me as somewhere worth visiting for the luxury traveller, but the Riviera Maya a short drive away is in a class of its own in this area. 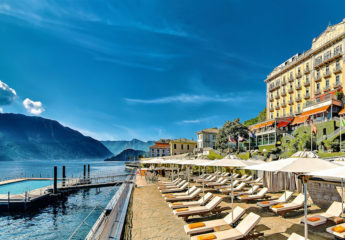 While there are some large scale resorts, there are several excellent choices for a luxury holiday, and with its favourable weather and direct flights from London, it makes an excellent choice for a winter getaway. 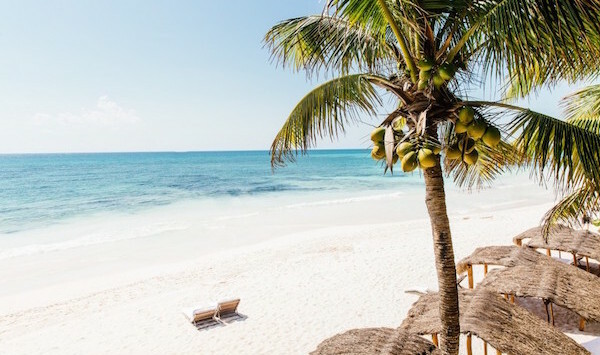 I recently spent a week in the area checking out hotels and here are my top picks of the best hotels on the Riviera Maya: Hotel Esencia, Belmod Maroma, Viceroy Riviera Maya and Grand Velas. What to Do on The Riviera Maya? The Riviera Maya is most famous perhaps for its glorious beaches, but just off the coast lies the second largest barrier reef in the world – the Mesoamerican Barrier Reef. With over 500 fish species and 100 coral types, this barrier reef offers some of the best snorkelling and diving experiences in the world. You can also swim and dive in the stunning freshwater cenotes – limestone caves packed with stalactites and stalagmites. If you prefer to remain on dry land, then making the journey to Coba – a classical Mayan city which dates back to 400 A.D. – is worth a visit. Climbing the site’s highest pyramid for the breathtaking vista is not to be missed. 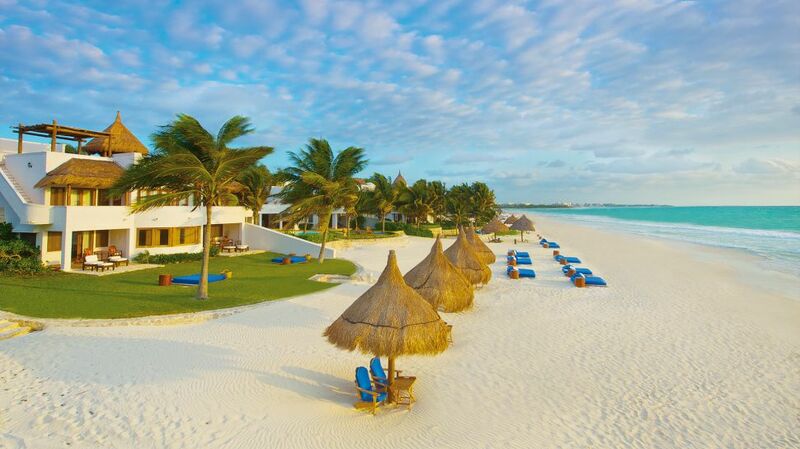 With a jungle setting next to a gorgeous beach with dazzlingly white soft sand, Belmond Maroma is a true Mayan dream. The Hacienda style resort is authentic in all senses: the lush, verdant landscape that surrounds the rooms is home to parrots and a multitude of native birds that chirp happily that they’re lucky enough to call the Belmond Maroma home. 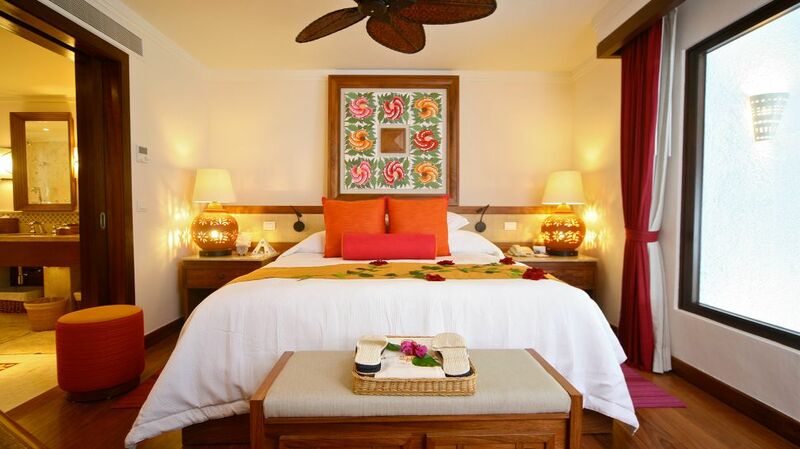 Rooms are designed in an understated Mexican style with tiled floors, thatched roofs with exposed beams and bamboo window and door covers. 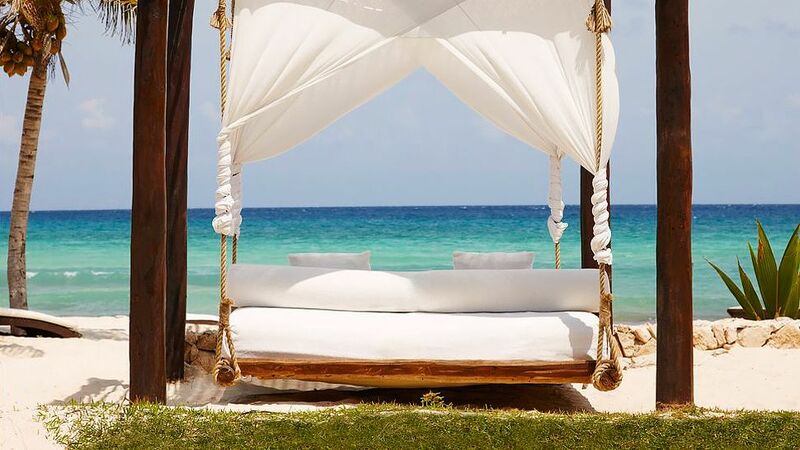 Make sure to book a room with ocean views, where if you need to shelter from the sun, you can relax peacefully on the hammock on your secluded terrace. The sea is a glorious multitude of blues, which is due to its privileged location on one of the prettiest beaches in the area. 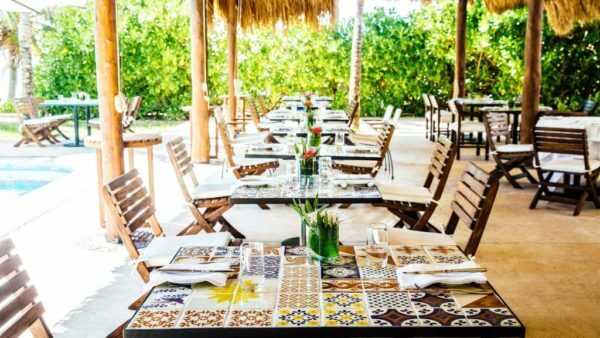 There are two main restaurants and a sushi / ceviche bar, but I would recommend dining by soft candlelight on the terrace of the Mexican restaurant, El Restaurante, with the sea breeze and crashing waves as the perfect backdrop. 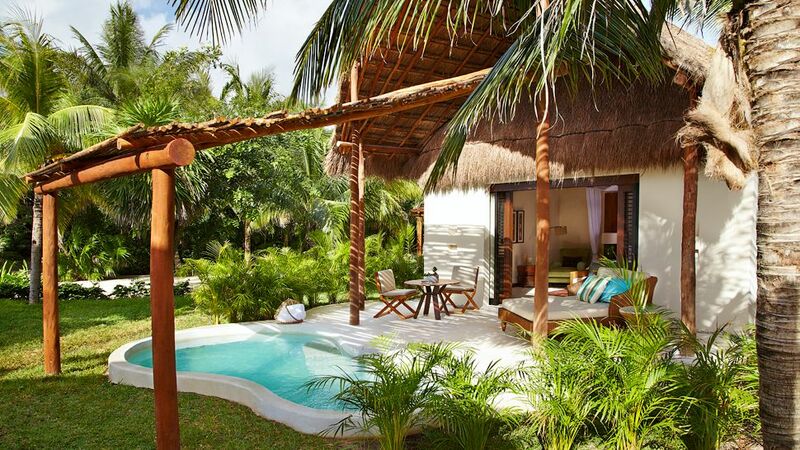 The 41 villas at Viceroy Riviera Maya are positioned within the jungle setting of the hotel, set away from the beach, but less than a minute’s walk away. 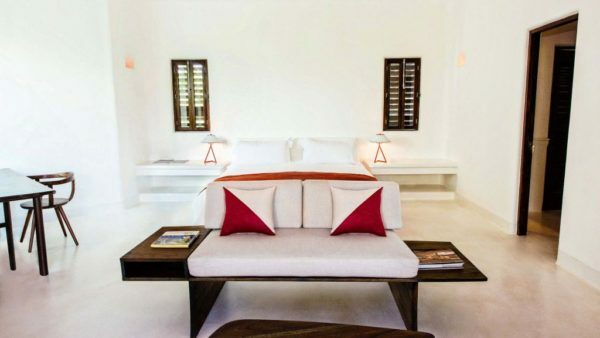 Two villas have beach front views, but all have private plunge pools and spacious terraces. The idea here is complete privacy, which makes it ideal for honeymooners. 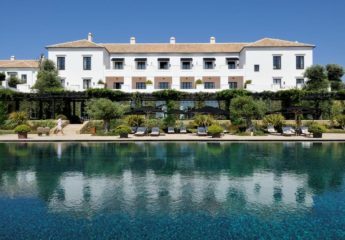 It’s a child-free property, so expect to see loving couples or small groups of friends on holiday together. 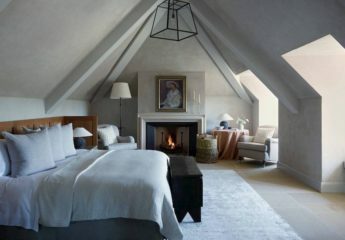 The vibe is laid-back chic: small enough to be private and intimate; cool enough to have a bit of a scene at night. The day time restaurant, the Coral Grill and Bar, makes exquisite fish tacos with direct sea views, and while also open at night, I would recommend you dine at the elegant La Marea with its casual fine dining atmosphere. Originally built as the private home of an Italian duchess, Hotel Esencia sits on a 50-acre estate on the white sand of Xpu-Ha in the Mayan Riviera. Quiet and exclusive, the property has only 29 rooms, including glorious sea or garden views, large terraces and private plunge pools. The vibe here is laid-back luxury – perfect for relaxation and getting away from it all. Enjoy complimentary yoga classes on the beach each morning before spending the day in the hammock on your terrace or on the beach. 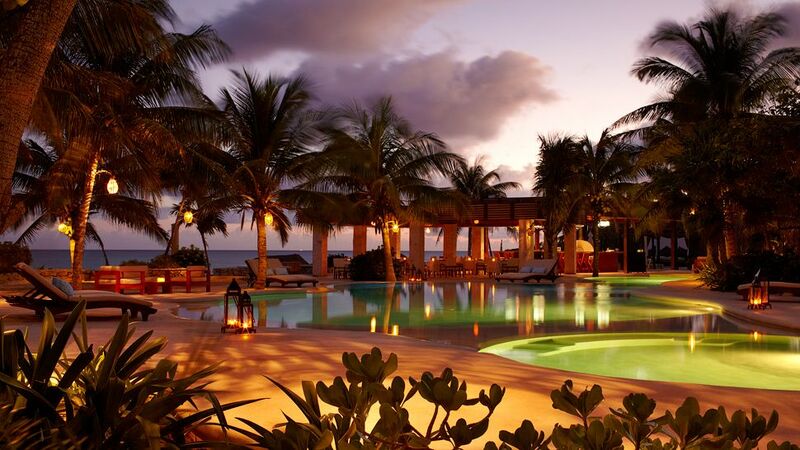 Hotel Esencia’s location makes it an excellent spot to explore Tulum and the area’s Mayan ruins. Esencia offers barefoot luxury at its best. 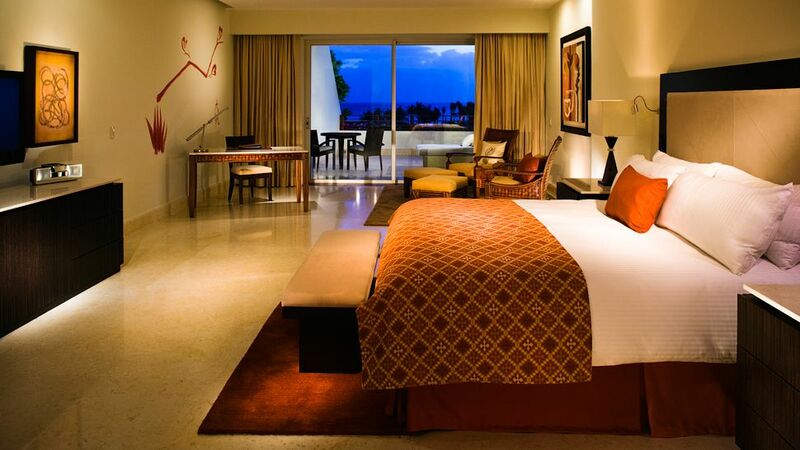 The Grand Velas is a family-friendly, all-inclusive hotel, situated between the Viceroy Riviera Maya and the Mayakoba area. There are three separate areas: The Zen area, with jungle-view suites, a short 5 minute transfer from the main hotel area; The Ambassador Suites, a family-friendly area with ocean-view suites; and The Grand Class, the adult-only most exclusive area. Both the Ambassador and Grand Class suites have direct access to the pools and beach, and, aside from children and marginally different sized suites, are more or less the same. 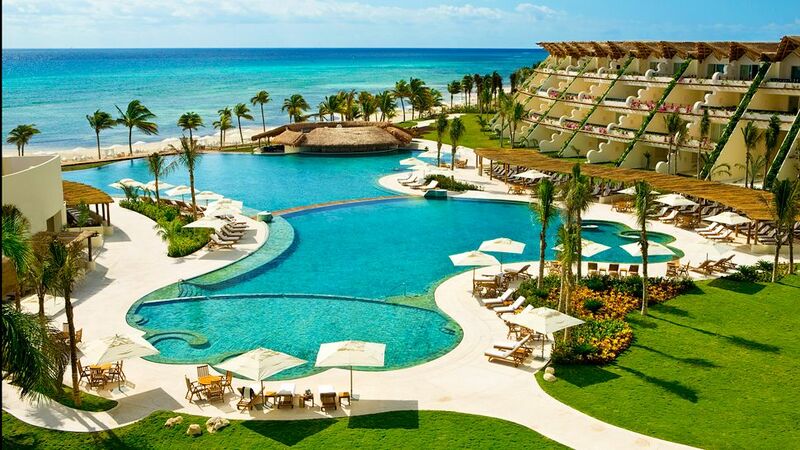 Set on a long stretch of white sandy beach with no other hotels in the immediate vicinity, the Grand Velas as the choice for an all-inclusive, high-end family friendly resort in the Riviera Maya. Use Bon Vivant’s free luxury travel service to book your next holiday to Mexico with access to a range of complimentary VIP Benefits. Read about our Virtuoso and preferred partner benefits. 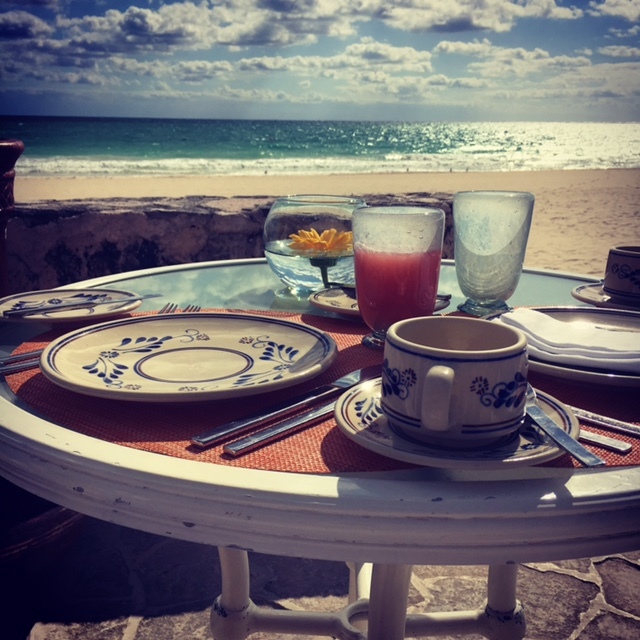 If you enjoyed this feature on the best hotels in the Riviera Maya, try some of our other guides including the best hotels in New York, our favourite luxury hotels in Paris, the best hotels in the South of France or our guide to Napa Valley hotels and restaurants.